The rise in number of deployment of long-term evolution (LTE) wireless broadband service is foreseen to propel the growth of the global M2M network security market within the duration of 2017 to 2021. Rise in requirement for applications for example video surveillance, automotive infotainment, and emergency services, there is a significant surge for higher speed and bandwidth. Hence, the demand for 4G and 3G LTE service, along with the large-scale deployment of LTE networks rises, which is expected to boost the growth of the M2M network security market. Moreover, the market is experiencing a high demand regarding low-cost LTE models in developing nations because of the rising penetration of LTE in the market and the growing demand for high-speed internet connection within the users and organizations. As a result, there is a rise in investments on M2M network security is anticipated to grow as well, in the upcoming years. The growing demand for M2M in consumer electronics is expected to propel the growth for the global M2M network security market in the years to come. The rise in usage of M2M in user’s electronics results in the rising demand for devices and gadgets, which allows the access to the internet for convenient transfer of the data. Along with that, owing to the security of the data, the demand for M2M network security solutions is foreseen to grow manifold again. The existence of a several number of international and regional vendors has prompted the vendor landscape of the global M2M network security market to be highly completive and extremely fragmented. To attain an edge over their competitors, various key players are banking upon the strategic mergers, and acquisitions and collaborations to improve their product portfolios and increase global and regional reach. As the Internet of Things (IoT) rapidly transforms the way people communicate, live, and work, a number of new solutions are making their way in several industries, ranging from connected homes, connected cars, and connected workplaces. These connected solutions are all driven due to the vast advancements achieved in the field of machine-to-machine (M2M) communications. The massive number of objects that are connected through these M2M networks have security management requirements similar to networked computing devices, consumer electronics, and mobile phones. The highly complex network architecture in which M2M devices operate their often inaccessible or unmanned nature present several challenges to their efficiency if an end-to-end M2M network security solution is not in place. 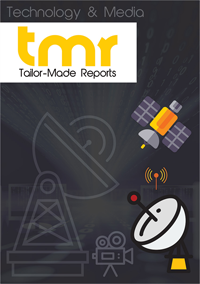 This report on the global market for M2M network security market presents a detailed overview of the present growth dynamics and future growth prospects of the market over the period between 2017 and 2025. The soaring adoption of M2M communications in everyday devices in the consumer as well as enterprise sector is the key driver of the global M2M network security market. As the number of embedded sensors and data transmission points begin to grow out of proportion owing to the present IoT boom, the need for effective network security capabilities to shield M2M networks from unauthorized sources will be felt more intensely. The rising number of companies operating in the market, offering innovative solutions for the security needs of M2M networks will also help the market gain traction in the next few years. The rapidly rising expanse of IoT technologies in the enterprise as well as the consumer sector and the rising set of applications across large number of industries is expected to bode well for the M2M network security market in the next few years. The market will especially benefit from these factors in developing economies across regions such as Asia Pacific and Latin America, where digitization and industrial automation are witnessing increased focus from the enterprise sector as well as government bodies. Speaking of numbers, Vodafone has recently announced that its IoT mobile network has crossed the mark of 50 mn connections. Several other telecom companies are increasingly realizing the potential of the IoT sector and are focusing on innovations to grab a larger share in the rapidly expanding and dynamic IoT sector. From a geographical viewpoint, the market for M2M network security has been covered in the report for regions such as Asia Pacific, Europe, North America, and Middle East and Africa. Of these, the markets across North America and Europe are presently the leading contributors of revenue to the global market. The high level of adoption of M2M connections in consumer electronics devices and across a number of industries and the presence of some of the world’s leading information technology firms in North America are chiefly attributable to the dominance of these regions in the global market. The presence of a large number of regional and international vendors has made the vendor landscape of the global M2M network security market highly fragmented and competitive. To outplay competitors, several leading companies are resorting to strategic collaborations, mergers, and acquisitions to expand their geographical reach and product portfolios. Development of products and services with innovative security features is also a popular growth strategy. Some of the leading vendors operating in the global M2M network security market are Gemalto, Cisco Systems, KORE Wireless, PTC, Numerex, SIMCom Wireless Solutions, Digi International, NetComm Wireless, EUROTECH, Systech, Netop, Ventus, Novatel Wireless, and Telit.